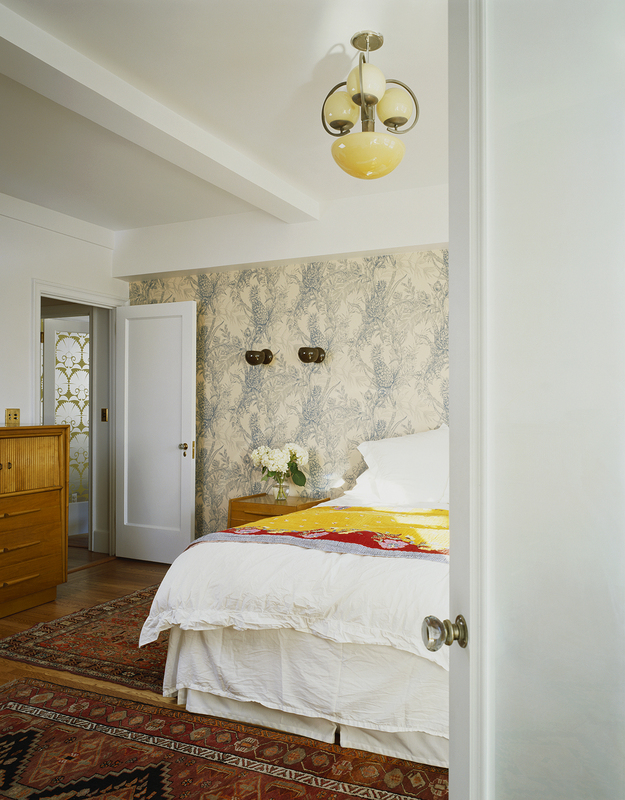 Can you re-make a tortuous pre-war apartment with awkward corners and tight rooms into an open loft? Yes, but you have to be willing to celebrate the remnants. A wall full of gas risers might have thwarted an open kitchen. 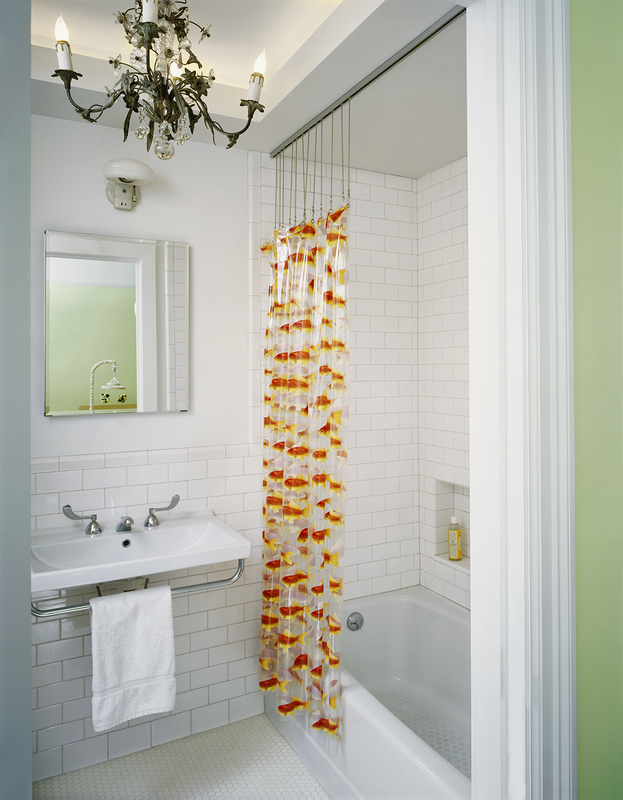 Instead, the architects exposed the pipes to form a decorative screen and tailored the island around it. Likewise, old flooring patterns reveal the ghosts of walls removed, and an endless crooked hallway transforms into usable rooms. Straightening the kinked wall not only created a clean surface for wallpaper. 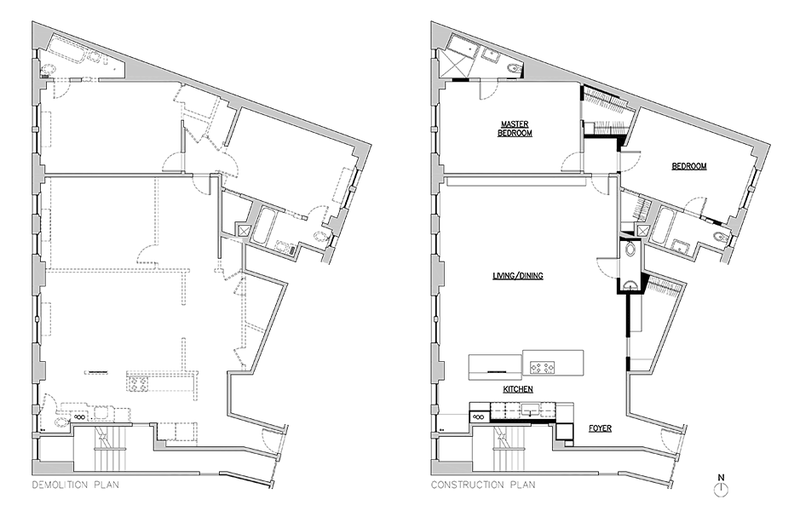 It also gave extra space for a powder room and a walk-in closet. 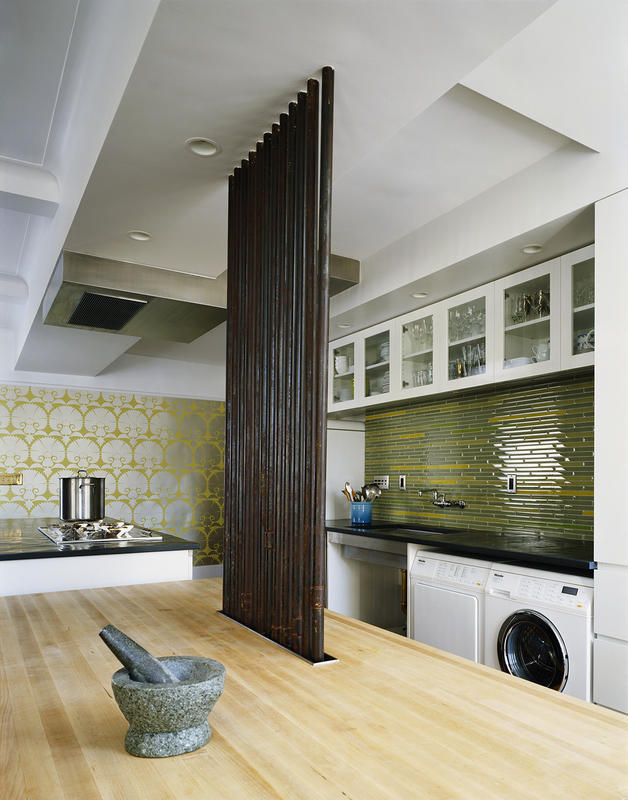 The architects tucked a home office and laundry discretely behind the kitchen. 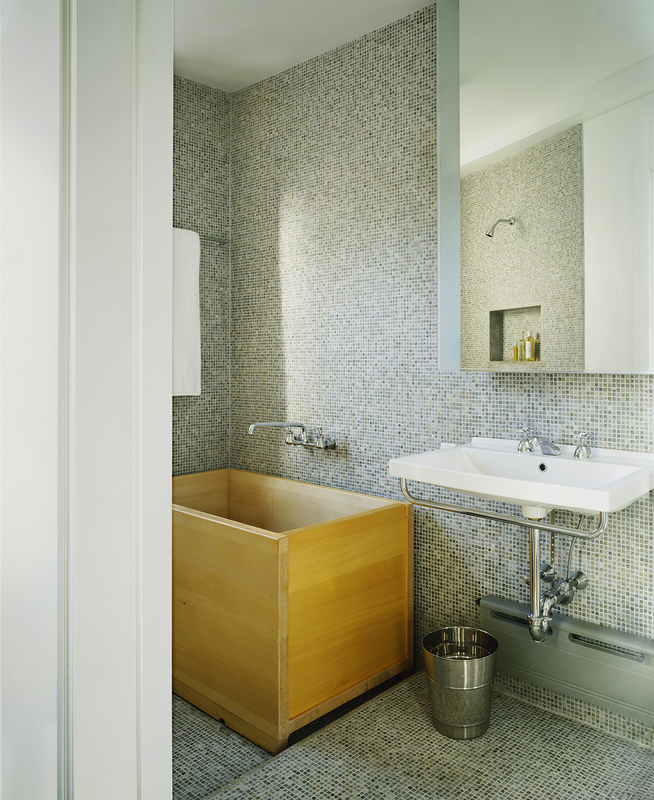 The master suite features a cedar soaking tub that fills to the brim, with a sloped tile floor to drain the runoff.